Three months ago, I was part of a mission team that traveled to San Marcos, Honduras to work with Mission Lazarus. I took this picture in one of the outlying villages where poverty runs rampant. The Seventh Day Adventists in this little community donated their church building to Mission Lazarus. It seems that after years of failing to grow and watching their members slowly die off, this church decided that someone else could make better use of their facility. So they just donated it to Mission Lazarus because they heard they were doing some pretty cool things in the name of Jesus. Some of the preachers from other communities drive over to the old Seventh Day church building every day and prepare lunch for the local children. These children come out of the woodwork for this meal. They arrive at the building to sing Bible songs and to pray while the meal is being prepared. There’s only one rule: BYOB – bring your own bowl. As the aroma of stew fills the neighborhood air, these children come bounding out of their homes carrying the biggest bowls they can find. For most of these children, this is the best meal they’ll have all week. 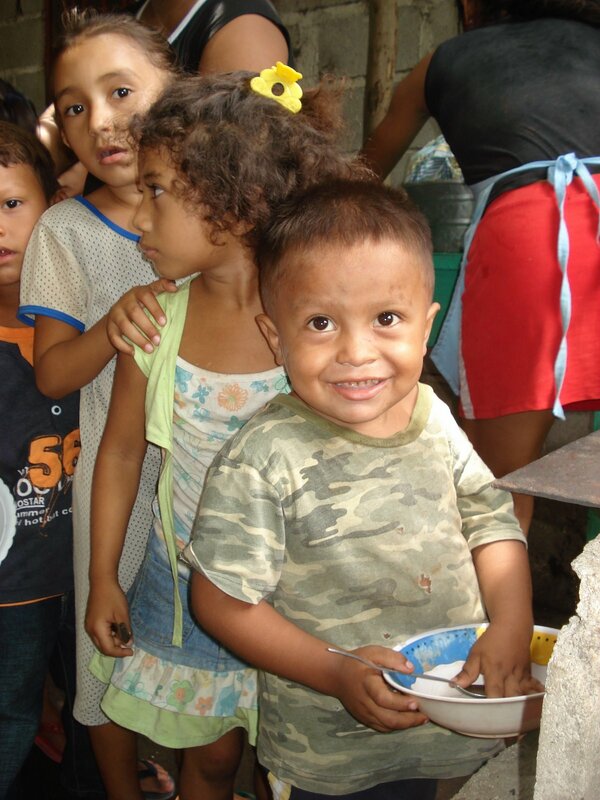 Because of the tremendous number of children in the area and the limited funds the Mission has to feed them with, most of these children are only allowed to come eat one day a week. But on that one day, you won’t find brighter smiles anywhere on the planet. Three months later, I’m still thinking about all those empty bowls. According to the United Nations Statistics Division, more than 1.2 billion people are living near the edge of death because of their impoverished living conditions. Thankfully, these children have access to this kind of benevolence at least once a week. But what of the others? What of those whose bowls remain empty? And what am I doing to help fill those bowls? Sadly, these are the kinds of questions the Christian community has failed to ask, at least with any degree of consistency. In an ironic twist, the prophetic voice to the world on the subject of global poverty has not come from the church but from the “secular” world. Somehow, in our insistence that the sole purpose of our existence is to save people’s souls for the life that is to come, the Lord’s church relinquished her role as mouthpiece on behalf of those who have no voice today. Thankfully, even the rocks will cry out when Christian witness is lacking. Bono, Brad Pitt, George Clooney, and a host of other celebrities have championed the cause of the hungry and the impoverished around the world through the ONE campaign, an effort to bring awareness about global AIDS and extreme poverty. People around the world are being inspired to action, inspired to pull together on behalf of the poor around the globe. The humanitarian call to help those who live in squalor resonates with us. Now more than ever before, people are rallying around the image of the empty bowl. How can I ignore that image when I live in such abundance? It took me going all the way to Honduras…it took me seeing a community of empty bowls…for me to really begin to understand why ministry to the poor is a priority to Jesus. It matters to Jesus because He feels their pain. He bears their plight. He aches along with them. “I tell you the truth, whatever you did for one of the least of these brothers of mine, you did for me” (Matt. 25:40). This entry was posted in Jesus, Mission Lazarus, Poverty, Scripture, Social Issues. Bookmark the permalink.